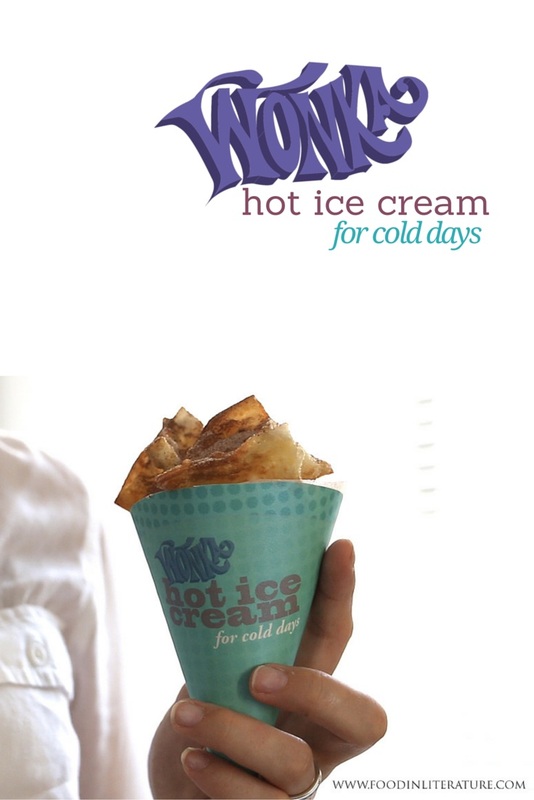 Hot ice cream? There’s only one word for this. Fried. 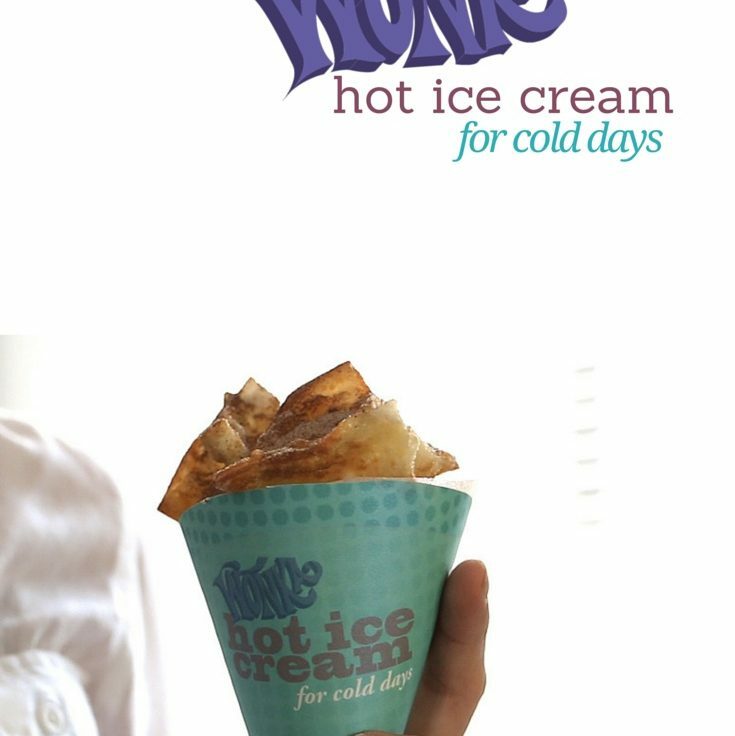 With a capital F.
Crispy golden wonton skins with a generous sprinkling of cinnamon sugar, holds dollops of ice cream in the centre. 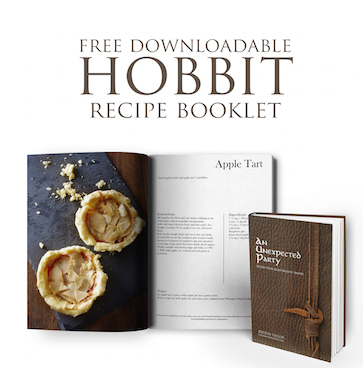 But they’ll melt quickly so eat them up fast! Prep your wonton ice cream balls first. Place your stack of wonton skins on a plate or bowl, and cover with a damp tea towel to keep from drying out. Take one wonton skin at a time. Scoop ~a tsp of ice cream into the middle. Place the wonton skin so one corner is facing toward you. Dab your finger into some water and run along the four edges of the wonton skin. Take the corner closest to you and fold up to the corner pointing away from you. Don't press down, instead take the left and right corners and fold them into the top corner as well. After completing a few, place them in the freezer to harden, as the ice cream will have begun to melt. When all are completed and refrozen, pour oil into a deep pan (preferably a wok), with enough oil so the wontons can be submerged. Test that the oil is ready by placing a sample piece of wonton skin into the oil. When it begins to bubble immediately, begin to fry your wontons 2-3 at a time. When they are golden, remove from oil. If they start to cook too quickly, remove the oil from the heat for a while to reduce the heat, before continuing. Sprinkle with cinnamon sugar (see recipe below), then serve. In a bowl, mix together the castor sugar and ground cinnamon. Make sure you use wooden spoons with the oil. Plastic melts! 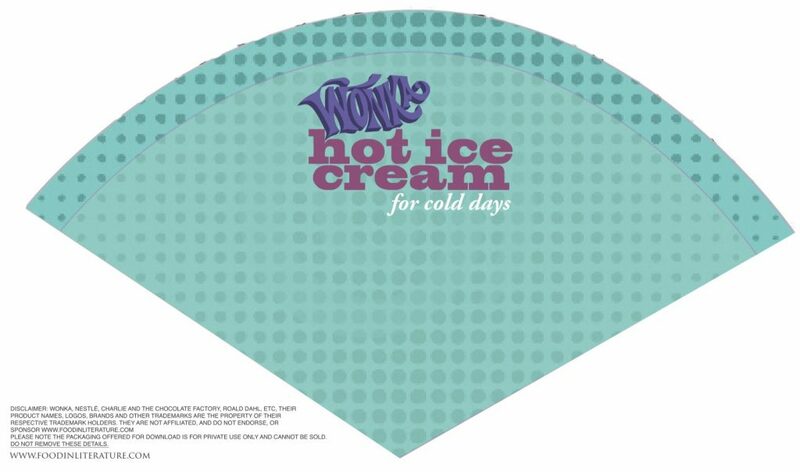 Free downloadable packaging for Wonka’s Hot Ice Cream for Cold Days (Wonka hot ice cream packaging_final – pdf version).